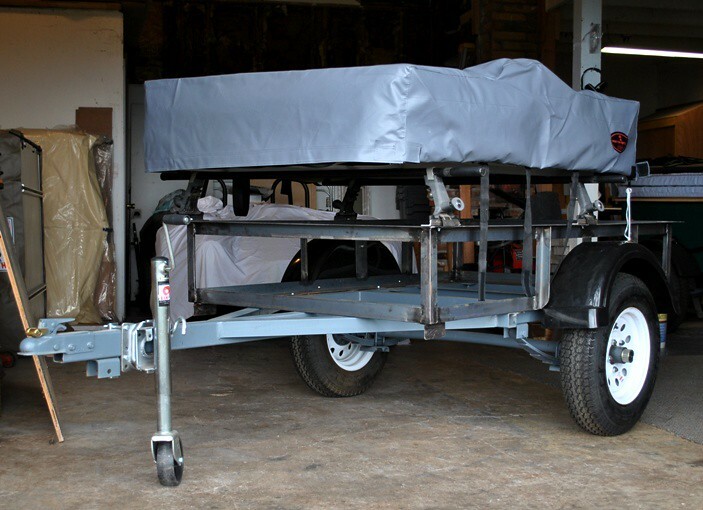 I’ve heard from a number of people wondering how-to build a multi-purpose camping trailer. 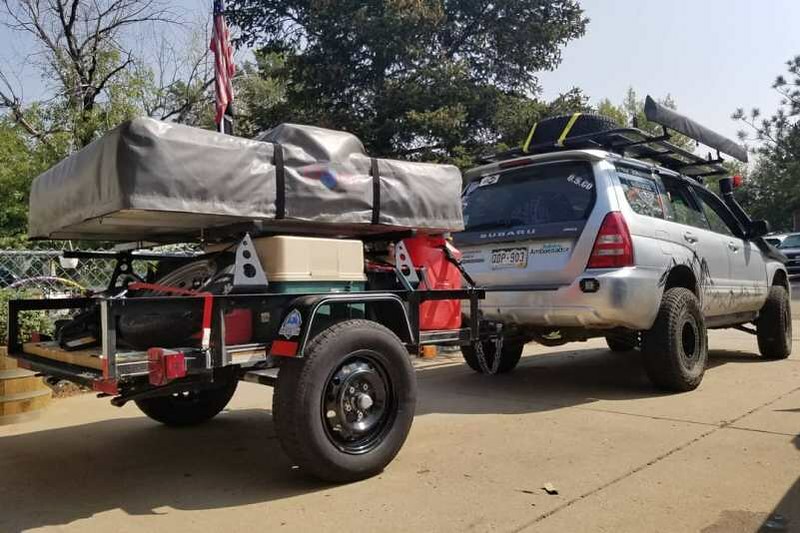 A trailer with multiple personalities; something to use for camping adventures one weekend, and a run to your local building supplies store or the dump the next week. This type of setup is the perfect way to maximize the benefits of driving a smaller vehicle with extra space only when needed. I started this thread as a place to share examples to help people figure out what type of configuration will work best for them. The starting point is a utility trailer of some sort, then upgrading from sleeping in the dirt to the joys of Tent Topped Camping. I refer to them as a Utilitarian or Utility Trailer Campers. There are many types, sizes and styles to choose from. Personally I like the smaller 4x6 ones. 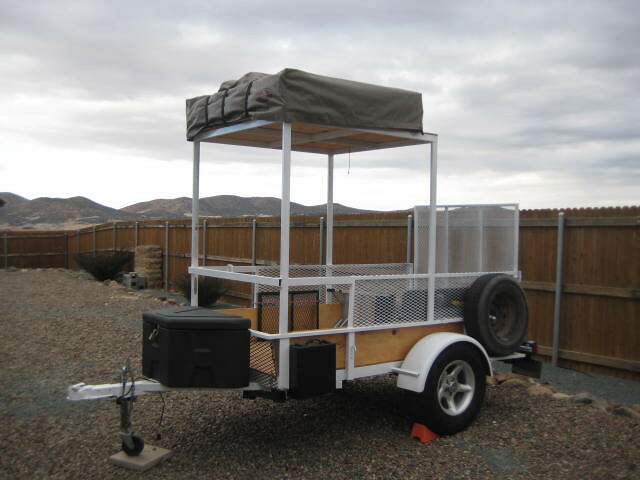 The first one I did was a simple angle iron style utility trailer. I setup Yakima rain gutter racks to outfit the trailer with a roof top tent which could be quickly removed for general hauling. 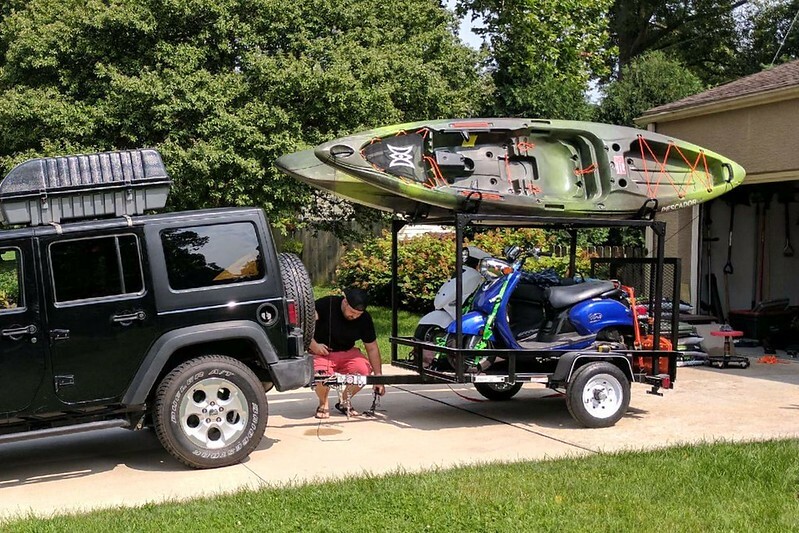 I have rolled out a new DIY No Weld Rack System which makes adding sturdy, budget friendly racks to trailers easy. Have a separate thread with tons of info and pictures about my DIY No Weld Rack System. 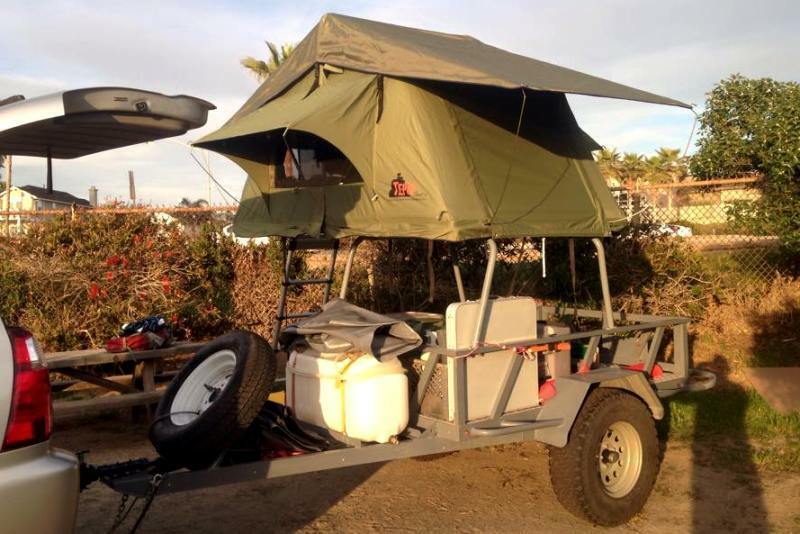 I envision my future Dinoot to be used mostly as a utility trailer and for camping as a secondary mission. 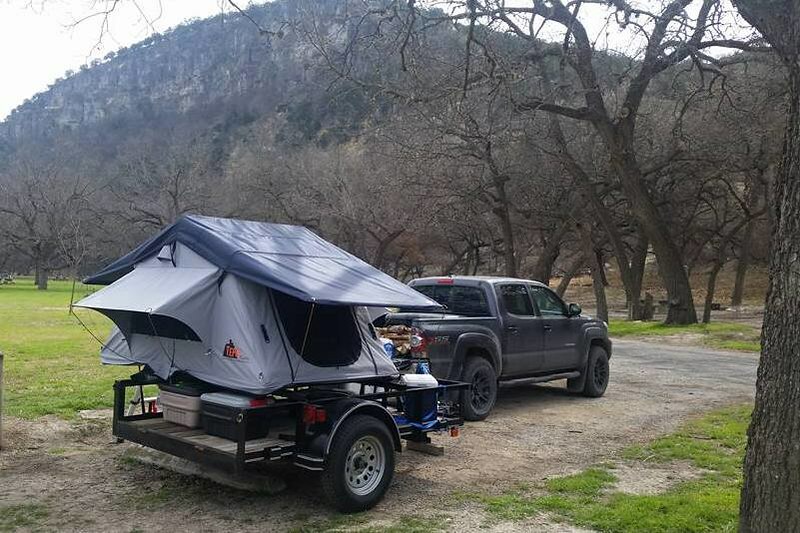 Since I expect only 1-2 camping trips a year with the trailer, I bought an instant-tent for ease of setup, instead of a RTT. Although it is kind of bulky, there are no loose parts and can be set up in minutes. I can't see spending the $$ on a RTT for such little use. Yes, if it would only be used once or twice a year hard to justify the cost. Building a Gear Hauler trailer setup is a good start and seeing where it goes from there. 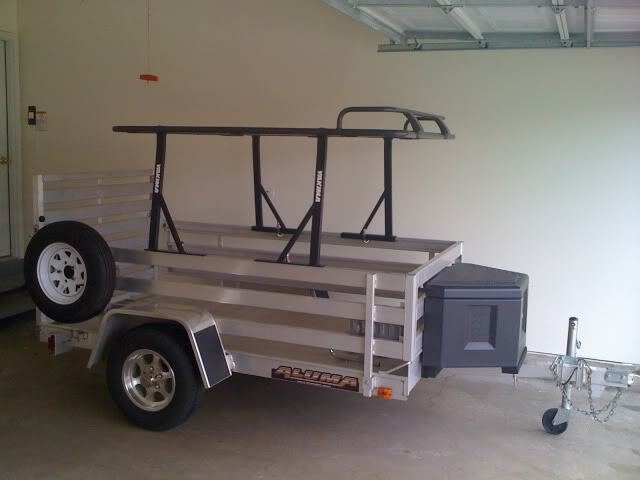 Here is an aluminum trailer example that is using a set of Yakima pickup bed racks, just needs to be tent topped. Here is Jkidd6339's multi-purpose Utility Trailer Camper build, check it out at JKIDD Utility trailer build. Example of How-To build a Utility Trailer Camper with storage space under and a Kukenam Tent Unit on top of a nice rack. 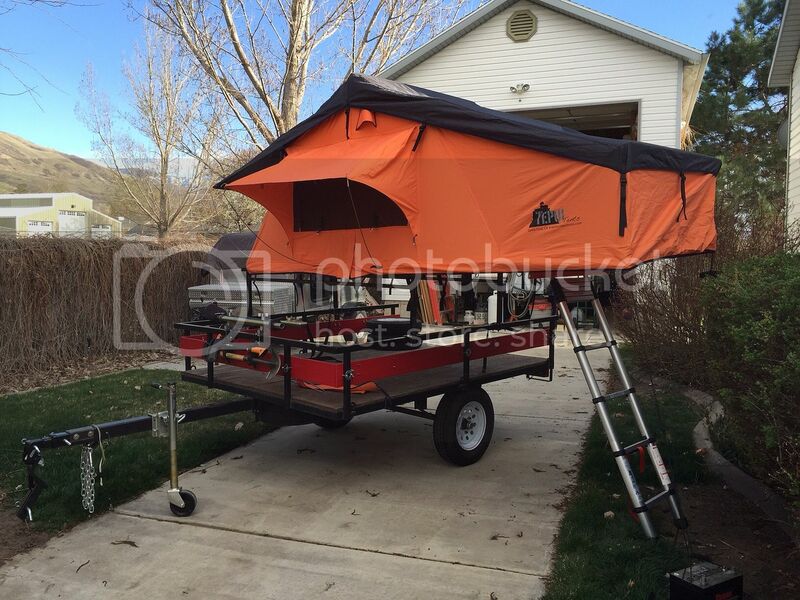 Chuck and Cindy have a nice example of a Tent Topped Utility Trailer Camper. It uses a Ruggedized model Tepui Tent Unit for the sleeping quarters. 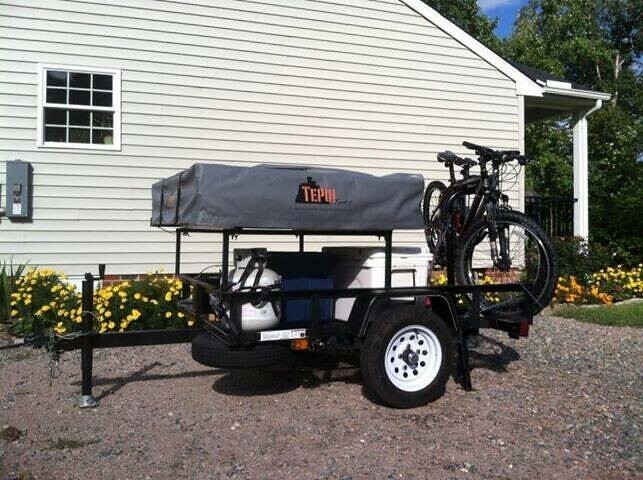 This one is a great example of how-to build a Utilitarian Camping Trailer that squeezes a lot into a small space. 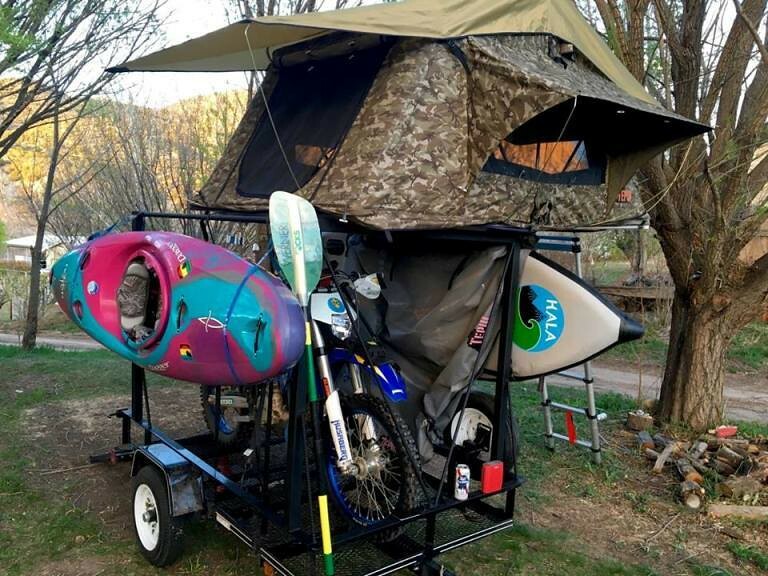 It's a Utility trailer, a Kayak trailer, a Paddle Board trailer, a Dirt Bike trailer, and it is topped off with a roof top tent. Sure, it is easy to have a Toy Haulers that don't need a diesel dually to tow. How-to drive the rig you enjoy and have more space for away from home adventures when needed?